Reports have emerged suggesting that in Sonakshi Sinha-Diljit Dosanjh starrer Welcome to New York, Arijit Singh's song has been dropped. The film also has a special appearance of Salman Khan. Is Salman's long-standing issue with the singer the reason? Two years after singer Arijit Singh hinted that owing to a discord with Salman Khan, the superstar got his version of “Jag Ghommeya” dropped from Sultan, to replace it with Rahat Fateh Ali Khan’s voice, there are reports that the actor has got the numero uno playback singer’s track replaced one more time from upcoming film, Welcome To New York. Salman, on his part, replied that the decision to use the track depended on the director and the producer of Sultan and people should not make a big deal out of the fact that it was Rahat Fateh Ali Khan, whose version was being used in the film’s final cut and not Arijit’s. Today, fresh reports have emerged suggesting that in Sonakshi Sinha-Diljit Dosanjh starrer Welcome to New York, which has a special appearance of Salman in a song, Arijit’s voice has been dropped, with the reason being the Tiger Zinda Hai actor’s long-standing issue with the singer. 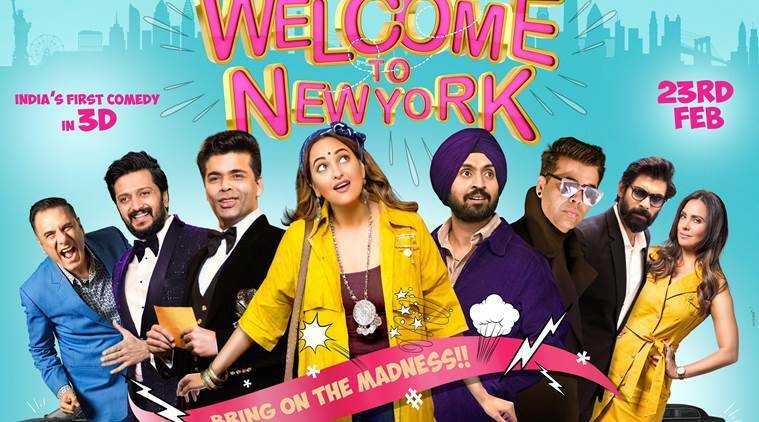 Also starring Karan Johar and Riteish Deshmukh, Welcome to New York will arrive in theatres on February 23.